NetherRealm Studios is at Chicago Comic & Entertainment Expo 2019 and discussing some interesting things pertaining to their upcoming game, Mortal Kombat 11. 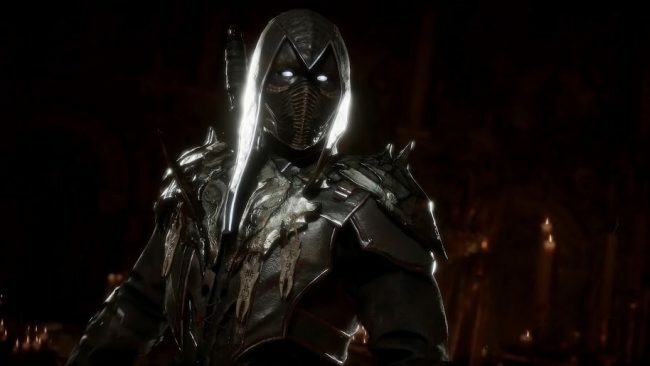 More importantly, though, the developer revealed a new playable character, Noob Saibot. There was a leak that showed off the roster at one point, but was it accurate? It might be. Funnily enough, the character was “accidentally” revealed prior to the trailer, as one of the panelists showed off a slide of the character prematurely. Once the trailer started, we got a look at Saibot’s brutal moveset and even got to see his Fatality, which you can view below. Saibot is the original Sub-Zero, but he was killed by his arch nemesis, Scorpion. Saibot is known for his ninja-like appearance and his unique hook weapon used to latch onto enemies. In the trailer, he can be seen zipping around the stage, kicking his foe’s heads in, and using that absurd Fatality that we don’t want to spoil for you. Let’s just say, it might come in *handy* when attempting to defeat enemies. Noob Saibot wasn’t the only character revealed, either. We got a look at an upcoming DLC character, Shang Tsung, too. Mortal Kombat 11 will be released on April 23 for the PC, PlayStation 4, Xbox One and Nintendo Switch. You can also take part in a closed beta later this month. Does the inclusion of Noob Saibot excite you? Will you be picking up a copy of Mortal Kombat 11? Let us know! Tags: Mortal Kombat, Mortal Kombat 11, NetherRealm Studios, Warner Bros.